Under divine guidance, Hazrat Musleh-e-Maudra founded Majlis Khuddam-ul-Ahmadiyya, an auxiliary organisation of youth, on 4 February 1938. First established in Qadian, the tenets of this organisation rest on the principles of service and sacrifice and to inculcate commitment to one’s faith, country and to the world. 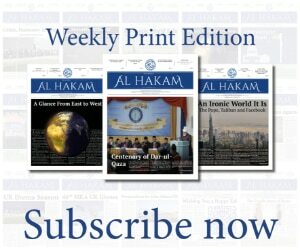 With the spread of the community, the branches of Khuddam-ul-Ahmadiyya expanded internationally. The seed sown in 1938 spread to the corners of the world, and the organisation entered a new era of progress. Majlis Khuddam-ul-Ahmadiyya is internally run by several departments under the president of the Majlis. 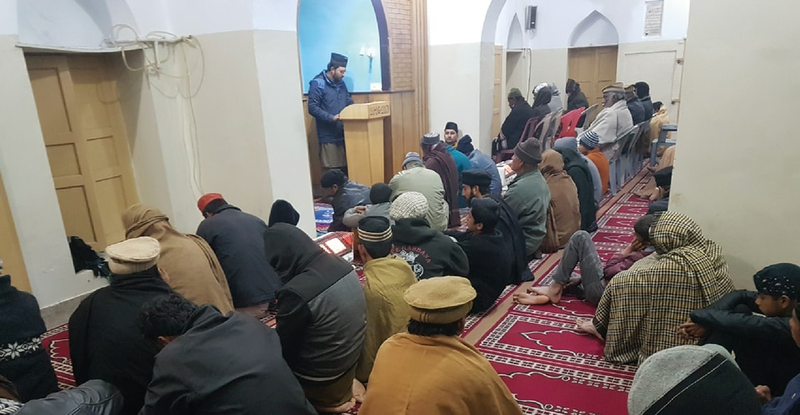 With the arrival of the new year and at the end of 2018, the tajnid department (department for maintaining a record of members) of Majlis Khuddam-ul-Ahmadiyya Pakistan, to activate its saiqeen all over Pakistan, launched a new year awakening programme. This programme aimed to strengthen the system of saiqs and provide a chance to the saiqs to meet their respective Khuddam and urge them to involve themselves in activities that will be a source of attraction of God’s love and His special bounties under the guidelines given by Hazrat Amirul Momineenaa on the New Year’s Eve. Keeping in view the spiritual reformation of its members, the tajnid department of Majlis Khuddam-ul-Ahmadiyya Pakistan launched a nationwide campaign at the arrival of the new year to inculcate Khuddam in offering the five daily prayers, Tahajud, nawafil (voluntary prayers), recitation of the Holy Quran, recitation of Durood Sharif, giving out charity for the poor and writing letters to Hazrat Khalifatul Masihaa requesting his prayers. This campaign was entirely based on the directions of Khulafa that were given to the Ahmadiyya Jamaat at various occasions. A hardcopy of this programme was provided to every Khadim residing in Pakistan, while separate images and videos based on the guidelines given by Hazrat Khalifatul Masih Vaa were also prepared to be shared on social media for the benefit of Khuddam. By the grace of Allah and with the prayers of Hazrat Khalifatul Masih, on New Year’s Day, Khuddam all over Pakistan offered congregational Tahajud and nawafil along with the recitation of Durood Sharif as was directed by Hazrat Amirul Momineenaa in his concluding address of Jalsa Salana Qadian. To welcome the new year, a proper schedule was carved and was sent to Khuddam all over Pakistan. An image entitled My New Year Night Schedule was shared with all Khuddam on social media that was also used as a profile status by hundreds of Khuddam residing in Pakistan. It included offering nawafil towards the end of New Year’s Eve at midnight, offering Tahajud at 5am and offering Fajr prayer at 6am that was to be followed by tilawat at 6:20. Hence saiqs instructed all Khuddam to set their alarms at the allocated times. A backup plan was also carved to awaken Khuddam for nawafil, congregational Tahajud and Fajr prayers respectively. This schedule was followed by Ahmadis all over Pakistan that not only included Khuddam, but Atfal and Ansar as well. At some places, breakfast was also served after the Fajr prayer. The saiqs were allocated the responsibility to deliver hard copies of these programmes and ensure that every Khadim participated in this programme effectively. This provided two benefits. Firstly, the saiqs were able to meet the Khuddam that were allocated to them and secondly, they guided their Khuddam to effectively participate in this programme. The images and videos of the guidelines given by Khulafa-e-Ahmadiyyat with regard to New Year’s Day were also shared with Jamaat members all over the world who also responded to it with zeal and passion. Although 2018 has ended, this Spiritual Awakening Programme that was celebrated under the direct instructions of Khulafa given at various instances to the Jamaat marked the continuation of the spiritual journey of Khuddam-ul-Ahmadiyya Pakistan that will continue forever Insha-Allah. Khuddam of Pakistan have hence celebrated this event with the spirit that every coming day, they will follow the schedule instructed by Khulafa and our beloved Imam, Hazrat Mirza Masroor Ahmad, Khalifatul Masih Vaa as they had done on the New Year’s Day of 2019.